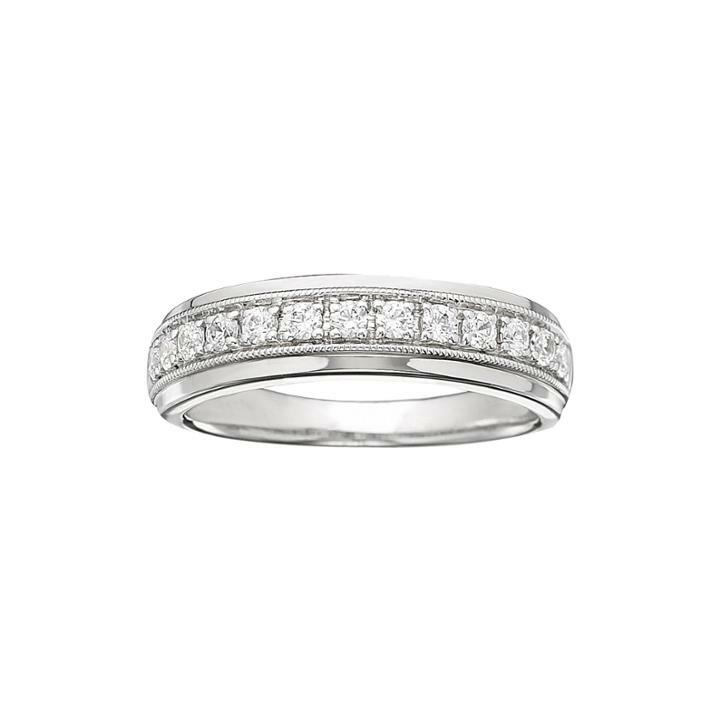 Simple and elegant, round diamonds sparkle in a pav setting on this classic sterling silver wedding band. Metal: Sterling silver Stones: 1/3 ct. t.w. round diamonds Setting: Pav Diamond total weights may vary between .01 and .08 carat. Jewelry photos are enlarged to show detail.